I’m vacillating between anxiety and bliss,” said Jerry Wolfman. After 50 years of working alongside his younger brother Keith in what was once their father’s store, Vancouver’s Three Vets is coming to an end. Inside, the shelves are still littered with camping goods, gadgetry, clothing and hunting equipment. Through a small door on a side wall, First Nations masks and decorated wooden paddles can be glimpsed, belonging to Jerry’s other business, selling indigenous arts and crafts, which, he said, he plans to continue. Keith is a little more sanguine about the future, at least on the surface. “What am I going to do? I’m going to take a chair yoga class and go swimming at the JCC.” He said he might also help members of his family with their business or kibitz around with other side projects. 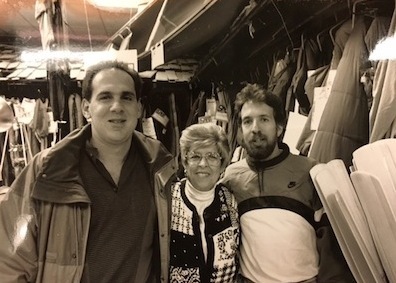 Both Keith and Jerry grew up helping in the store, which was founded by their father, Bill Wolfman, and two other army veterans. Wolfman senior began the business with the idea of ending a shortage of bedding in logging and mining camps by using military surplus. Keith and Jerry’s early trajectories seemed to point away from involvement in the business. Jerry went to college to study anthropology but didn’t see a future in it. Keith went traveling, at one point backpacking overland from Istanbul to Kathmandu through Iraq, Iran and Pakistan. Both brothers made their way back to their father’s store in their 20s, however, and haven’t left. Jerry said it was their love of camping and the outdoors that resulted in the expansion of the store from a military surplus provider to “the great outdoor store” their sign declares them to be. 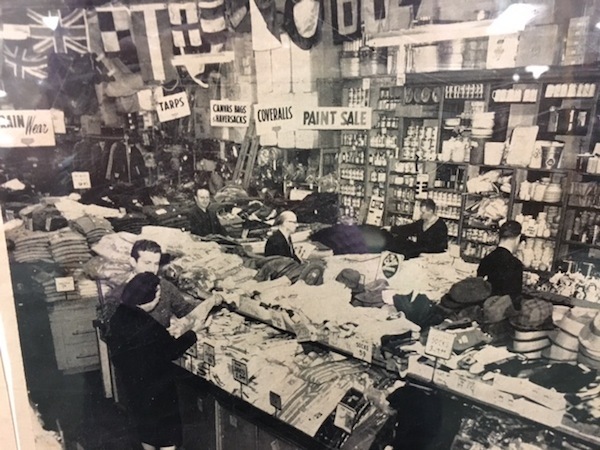 Eventually, their range of merchandise expanded even further, to include housewares, emergency preparedness supplies, rain gear, travel accessories and other odds and ends that struck the brothers’ fancies. They also offered repairs for lanterns and stoves. The business often served police officers, firemen, ambulance personnel and film crews. Some years ago, Keith and Jerry were approached by a land developer to sell the store, but they refused. The next offer they received was too good to turn down. Other factors influencing their decision to close up shop, said Jerry, was the increase in big-box competitors, the growth of the online marketplace and increasing property taxes. 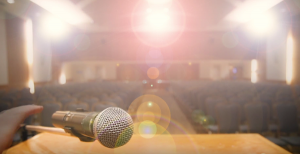 The Wolfman brothers have not just received support but given it in abundance, supporting a number of causes and organizations in the Jewish and general communities.